Excursus was a multifaceted, four-part initiative at ICA in which artists, designers, publishers, and other cultural producers whose work engages the archive and publication were invited as artists-in-residence to create a platform for more intimate programming. 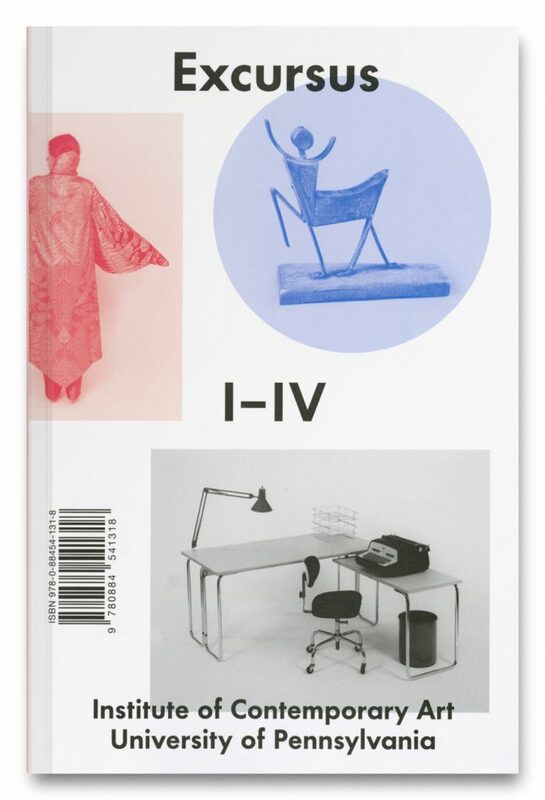 This sourcebook, building on the idea of an excursus (an exposition or digression from a primary text), offers summaries, ephemera, and checklists for each re-imagining of both the physical and discursive space of the ICA. Participants: Reference Library, East of Borneo, Ooga Booga, Primary Information. Essay and summaries by ICA curator Alex Klein.